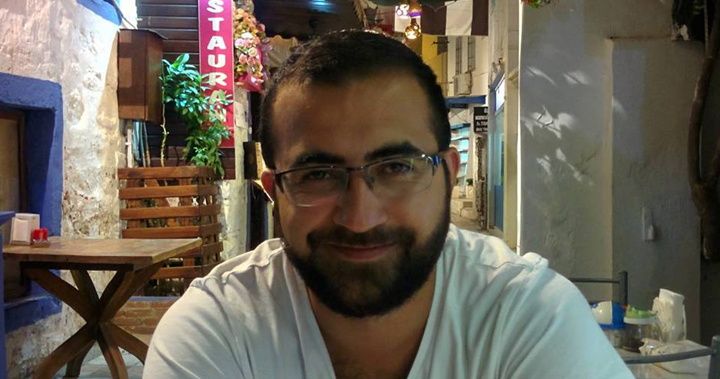 Update: In the evening of 5 June, Emin Aslan’s lawyer Elchin Sadigov was informed Aslan had been sentenced to thirty days administrative detention under Article 535.1 of the Code of Administrative Offenses (failure to obey the lawful orders of a police officer). Aslan has still not been permitted to meet with his attorney or any friends or family. Civil Rights Defenders continues to call upon the Azerbaijani government to release Emin Aslan and all other political prisoners incarcerated in Azerbaijan. Civil Rights Defenders is deeply concerned about the abduction of Azerbaijani human rights lawyer Emin Aslan, who was detained by plainclothes security officers while walking with his partner in central Baku in the evening of 4 June. All efforts to reach Aslan, confirm his detention with the government of Azerbaijan, or identify where he is being held have been unsuccessful. Civil Rights Defenders calls upon the government of Azerbaijan to immediately release Aslan. If there is a legal basis for his arrest, the government must provide a clear, public explanation of charges against him, reveal where he is being held, and permit him access to his attorney and his family. No official or unofficial statement has been made on Aslan’s abduction. Azerbaijani human rights defenders were able to confirm that the car Aslan was taken away in is registered to an employee of the narcotics division of the Department to Combat Organized Crime. The Department is notorious in Azerbaijan for detaining human rights activists and journalists and holding them incommunicado without charges, as well as intimidating and torturing detainees with impunity. Emin Aslan returned to Azerbaijan four days ago from the United States, where he received an LLM from Syracuse University. In Azerbaijan, he filed numerous cases to the European Court of Human Rights and published numerous articles critical of the government. He had left Azerbaijan in 2015 after being charged with tax evasion as part of a wide-ranging crackdown on civil society during which many other civil society activists and journalists were sentenced to politically-motivated prison terms. However, Aslan cooperated with the investigation and was eventually cleared of any wrongdoing. Civil Rights Defenders calls for the immediate release of Emin Aslan as well as for all political prisoners and unjustly detained activists and journalists in Azerbaijan.